Stinging Nettle, Urtica dioica, is native to northern Europe and Asia, and is now grown all over the world. Stinging Nettle is also called Common Nettle and Greater Nettle (Sloan-Kettering). Stinging Nettle’s medicinal properties are derived from its leaves, stems, and roots. It is available as a dried leaf, extract, capsule, tablet, tincture, juice, and tea. Stinging Nettle has applications in the treatment of Benign Prostatic Hyperplasia, Osteoarthritis, Hay Fever, and Hypertension (UMMC). Stinging Nettle has applications in the treatment of Benign Prostatic Hyperplasia, otherwise known as an enlarged prostate. It is still not known how Stinging Nettle works, however research suggests it decreases testosterone activity (Sloan-Kettering). 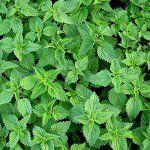 A study conducted, in which 558 patients were given Stinging Nettle for 6 months, demonstrated a decreased International Prostate Symptom Score, increased Maximum Urinary Flow Rates, as well as a decrease in Prostate Volume when compared to a placebo group (Safarinejad 1-11). Stinging Nettle might also be helpful to individuals with Hay Fever or Allergic Rhinitis. Research has shown Stinging Nettle inhibits histamine receptors as well as prevents mast cell degranulation and its release of inflammatory agents (Roschek, Fink, McMichael, and et al 920-926). Its anti-inflammatory activity may also make Stinging Nettle useful in treating Osteoarthritis and related joint pain and stiffness (UMMC). Ehrlich, Steven, NMD. “Stinging Nettle.” University of Maryland Medical Center. N.p., 02 May 2011. Web. 12 Jul 2012. “Nettle.” Memorial Sloan-Kettering Cancer Center. N.p., 24 Jan 2012. Web. 12 Jul 2012. Roschek, BA, RC Fink, M McMichael, et al. “Nettle extract (Urtica dioica) affects key receptors and enzymes associated with allergic rhinitis..” Phytotherapy Research. 23.7 (2009): 920-926. Web. 19 Jul. 2012. Safarinejad, MR. “Urtica dioica for treatment of benign prostatic hyperplasia: a prospective, randomized, double-blind, placebo-controlled, crossover study..” Journal of Herbal Pharmacotherapy . 5.4 (2005): 1-11. Web. 19 Jul. 2012.